This project is unique to Langkawi and has been planned inline with the Malaysian Government 'Second Home' scheme attracting foreign residents. The properties are all Freehold and suit either permanent living and/or private rental. The Plot The land follows the natural incline of the valley down towards the bay, offering every Villa its own clear view of the Andaman Sea and rainforest covered islands. The Villas sit within their own large, landscaped plot of approximately 850sqm, guaranteeing privacy and seclusion to enjoy the benefits of the outdoor living features of the architectural design. Internal living Area The main living and dining area provides an elegant and tranquil setting to entertain, read a book or just relax. A dominance of natural materials and traditional roofing, give a distinctive blend of past and present. The modern kitchen is well equipped and conveniently located to serve both the dining area and the poolside. Sliding asian style walls open up the living area into the adjoining poolside terrace to create a cool, ventilated free flowing space. External living Area The central L-shaped pool of over 80sqm is the principal feature of the external living area. Designed to accommodate a large family and friends in comfort, the poolside seating area, shady covered walkway and end terrace give a host of options for enjoying this space to the full. Bedrooms The bedroom living areas have all been designed to create a feeling of space, light and cool temperatures. Asian design and European comfort combine in harmony throughout . The walk-in wardrobes link the sleeping area to the beautifully integrated bathrooms. The large master bedroom as you would expect, enjoys the best location and views. A spacious walk-in wardrobe separates the bedroom from the impressive 5 Star luxury bathroom. 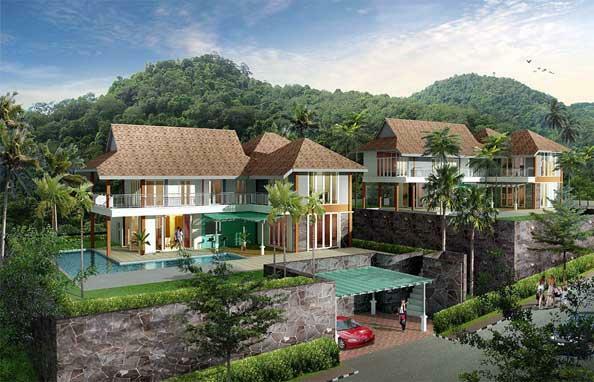 Pandangan Villas are available for purchase as Freehold units. Whilst it is extremely common in Asia for this type of property to be sold as a Leasehold; we have spent considerable time securing the correct legal status for the land. The contract for purchase of a Pandangan Villa is a Freehold purchase. 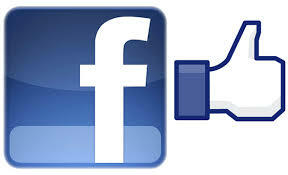 This gives full control and ownership of the property and is ideal for resale. 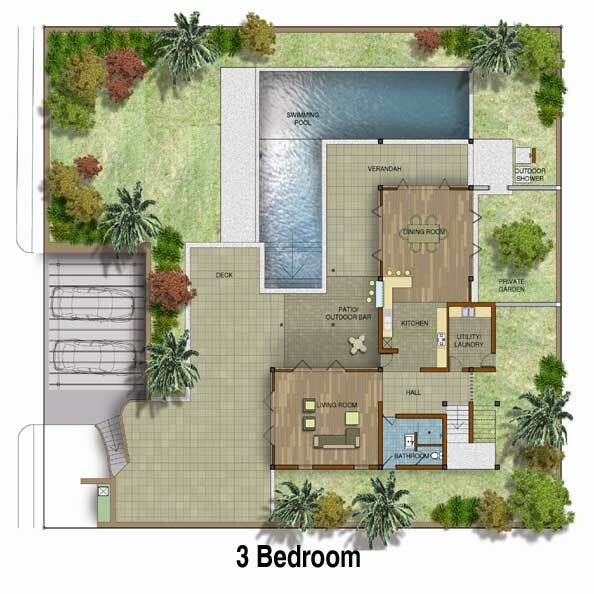 The Villas are offered for sale (without additional modifications) for a total cost including land. The villas are purchased in two stages. Firstly the Land contract and secondly the villa construction contract. Stage 1: 10% deposit paid when signing contract, inch of reservation fee. Stage 2: 85% payment. Paid when Title Deed is processed with Land Office for transfer. Stage 2: 25%, on completion of the foundations and footing works. Stage 3: 25%, on completion of the roofing; the walls with doors and window frames in position; electrical wiring, plumbing exc. fittings, and telephone cabling to the building. Stage 4: 25%, on completion of the internal and external plastering; sewage works and drainage. Stage 5: 10%, on final completion of the roads serving the building and on the date the Purchaser takes vacant possession of the building , with water and electricity supply ready for connection. 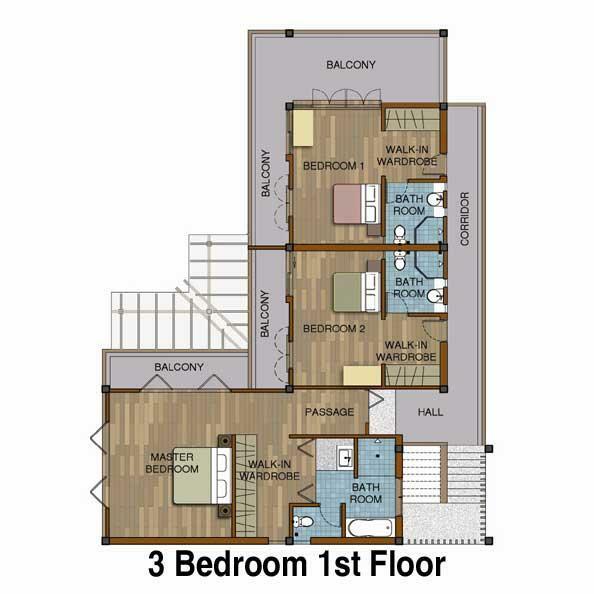 Stage 6: 5%, within 30 days after purchaser take occupation of the property. Private rental arrangements are available through one of Langkawi's most successful hotel and restaurant owners. Expected average weekly rental: RM$ 10,000.00 - 21,000.00/ £1,500.00 - £3,000.00. General maintenance of the shared gardens and road, plus caretaker, will be approximately RM500 per month. Private gardens are estimated at RM150 per month. Pool costs are estimated to be approximately RM200 per months. 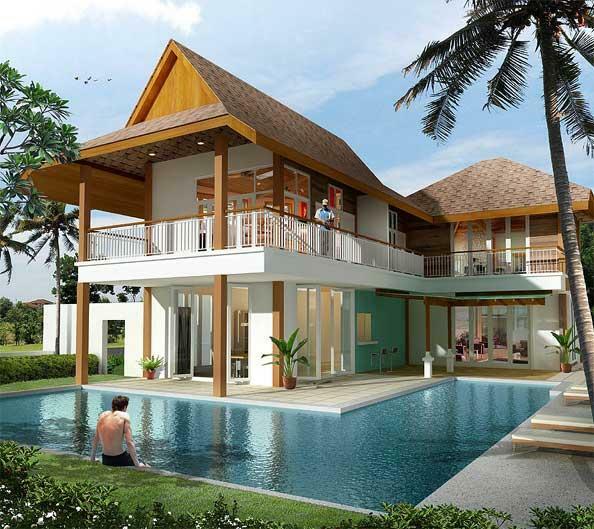 The Villas are scheduled for completion over a 12-16 month build dependent on purchase date. Capital Gains Tax. From April 1st 2007 there will be no CGT in Malaysia. Income Tax. This is payable on any revenue generated by rental that is declared in Malaysia. The rate for foreigners is 27% flat rate. Stamp Duty. This will be paid by BY THE DEVELOPER.